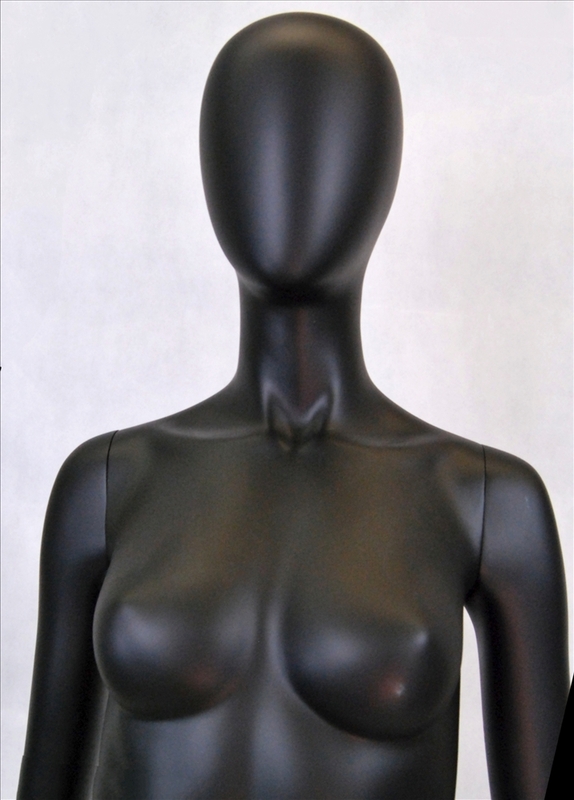 This Jan Female Mannequin is available in matte black with an egg head and goes great with any new modern look. Made of fiberglass. Arms and one leg detaches for easy dressing. To see all matching finish black matte mannequins - click here.